Scotland’s tax authority Revenue Scotland said it raised revenue of £707 million in Land and Buildings Transaction Tax (LBTT) and Scottish Landfill Tax (SLfT) — the two taxes it collects — for the Scottish Consolidated Fund during 2017-18. The increase in revenue was revealed in the tax authority’s 2017-18 Annual Report and Financial Statements which were published on Tuesday. “In addition, Revenue Scotland has seen an increase in revenue from tax compliance activities of more than £400,000 in the reporting period compared with 2016-17. “We have also now completed our first three-year corporate plan and commenced delivery of the 2018-21 Corporate Plan. 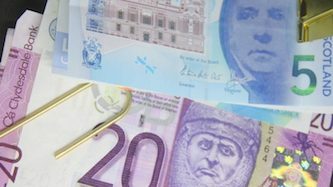 The combined total of LBTT and SLfT transferred to the Scottish Consolidated Fund since Revenue Scotland began operating had reached £1.8 billion by March 31, 2018.